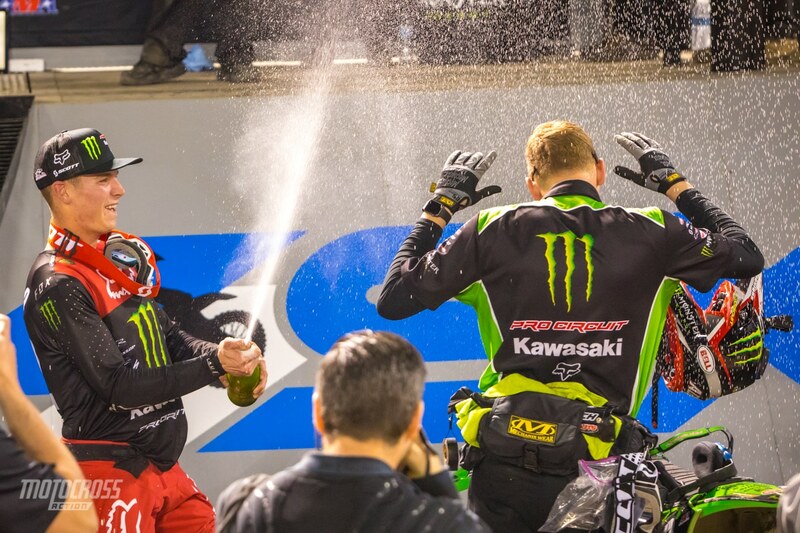 Adam Cianciarulo is the first two-time winner of 2019! 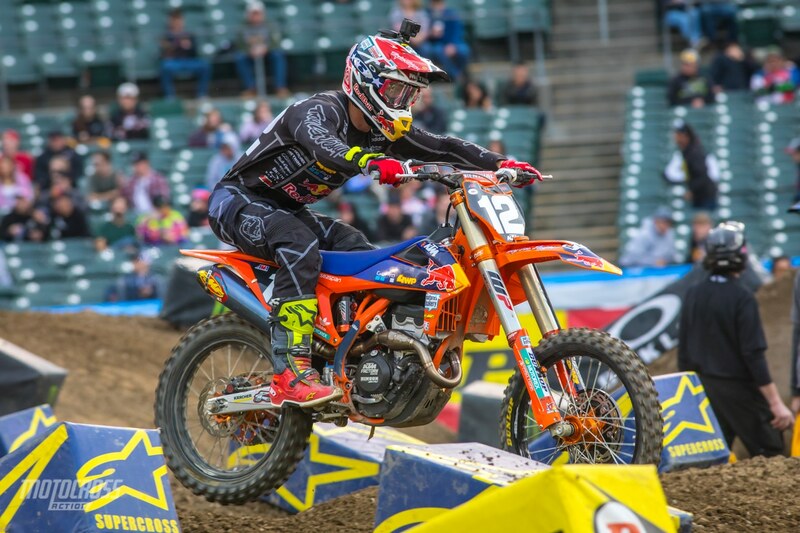 The 2019 Monster Energy Supercross season has been an exciting one for the 250 class. 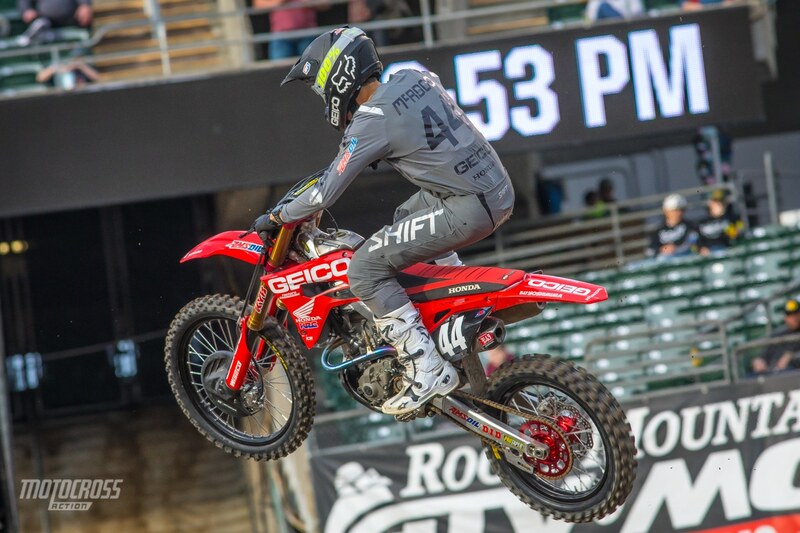 It hasn’t been as much of a shock as the 450 class, but we’ve still had three different winners at the first three rounds and Colt Nichols still leads the 250 West division in points. 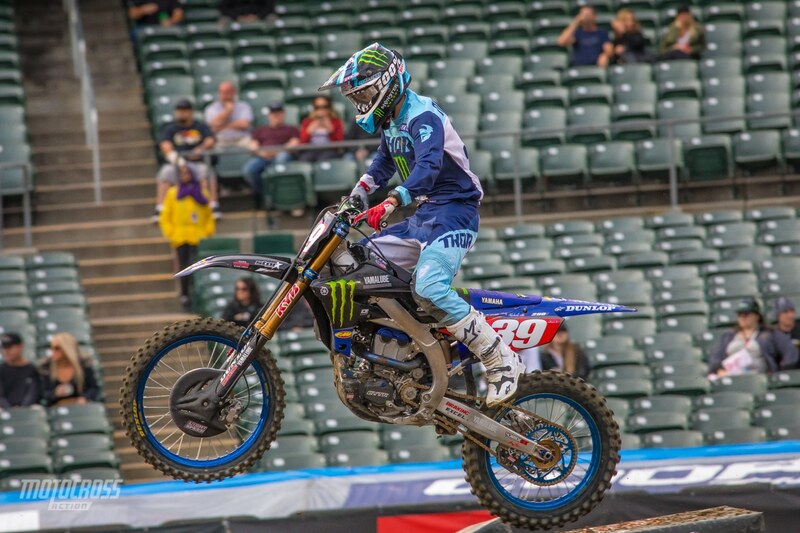 Colt is two points ahead of Shane McElrath and seven points ahead of his Star Racing Yamaha teammate Dylan Ferrandis. 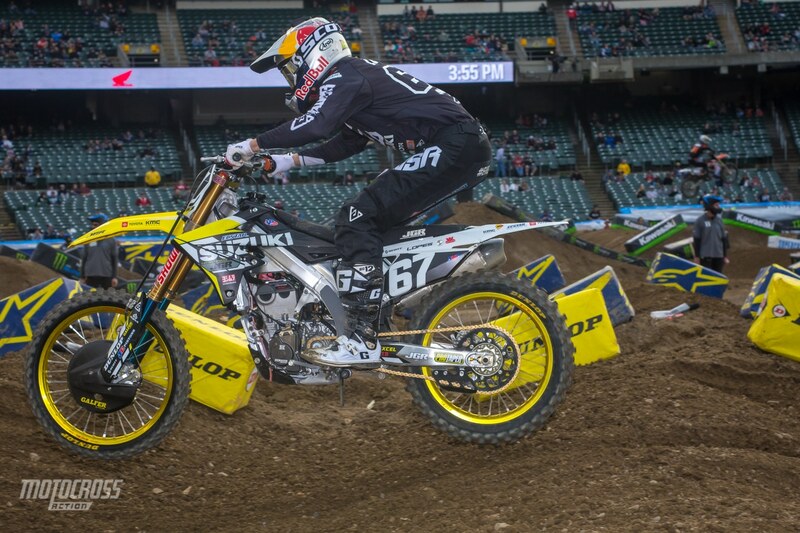 MXA is in Oakland to capture the action, check back for full results from the 250 class throughout the night of racing. 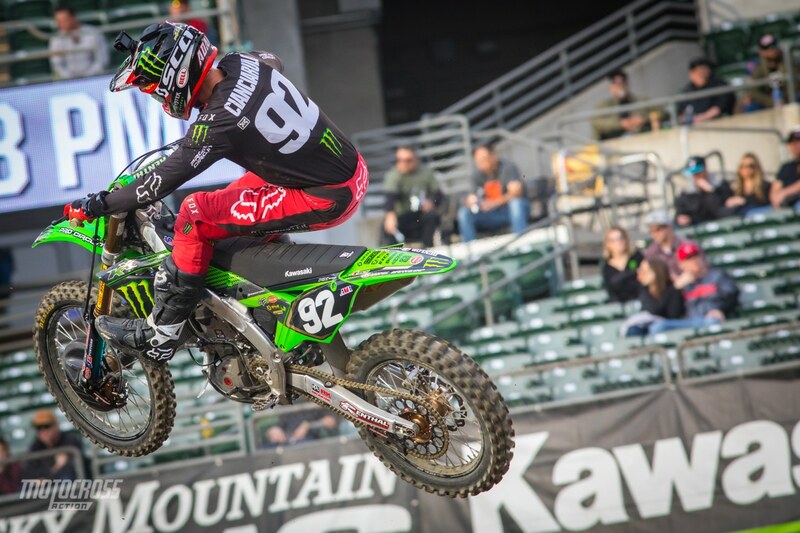 Adam Cianciarulo grabbed the holeshot and led every lap of the 250 main event here in Oakland. 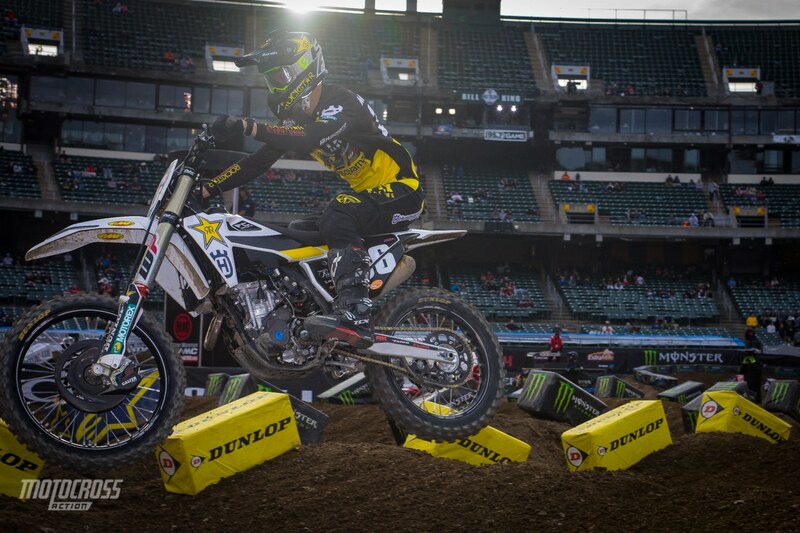 The track broke down quite a bit and the whoops played a huge factor in the results tonight. Dylan Ferrandis and Colt Nichols battled, and it was Ferrandis who took second with Nichols third. 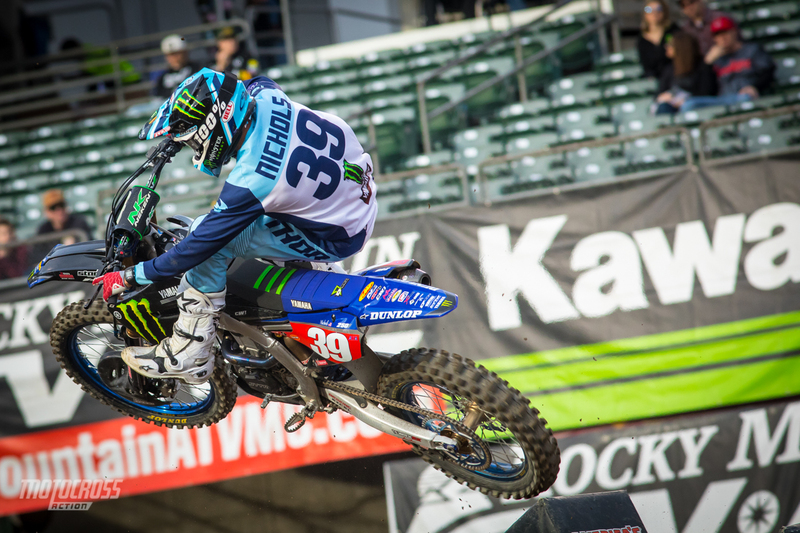 Colt Nichols still holds the points lead and Adam Cianciarulo is now second in points, only three behind Colt. 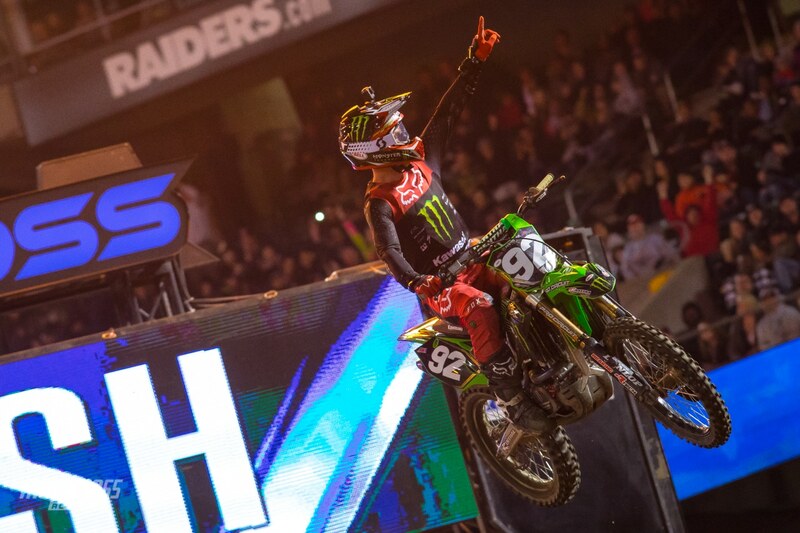 Adam Cianciarulo wins in Oakland! Colt Nichols finished third and he still holds the points lead after round four. 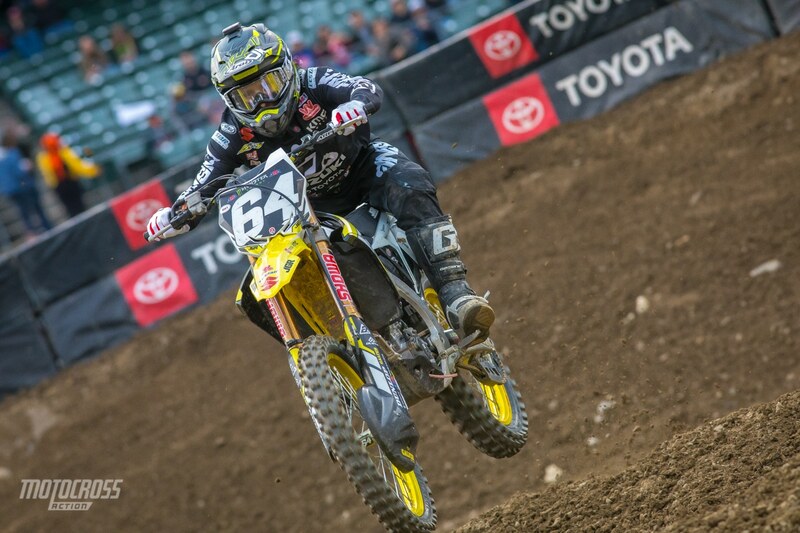 Colt Nichols has had the points lead since round one and he keeps it going into round five in San Diego. 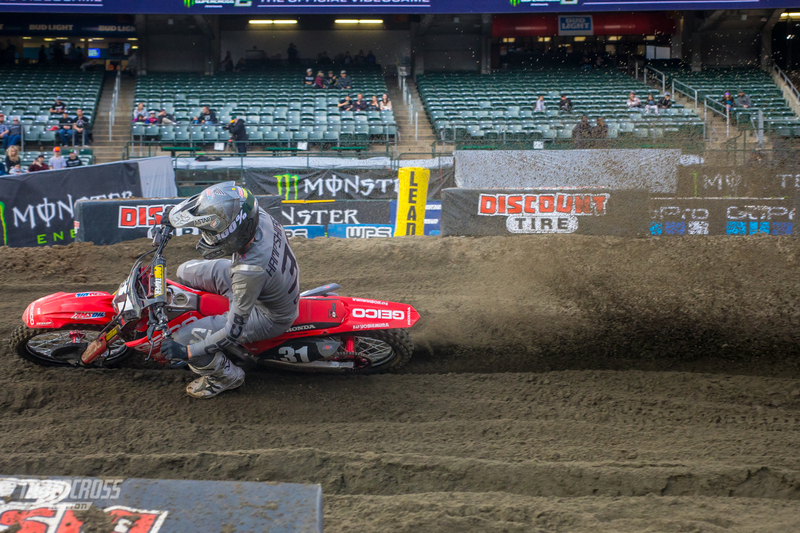 Enzo Lopes was the rider to beat in the 250 LCQ, but after a crash in the first turn his bike was too bent up to continue. Logan Karnow made a pass on Thomas Do in the whoops to take the win and transfer into the 250 main event. Scott Champion and Chris Howell finished third and fourth and took the final two spots in the main event. The rest will have to try again next weekend in San Deigo. Enzo Lopes’ bars were too bent to continue the race after a first turn crash. 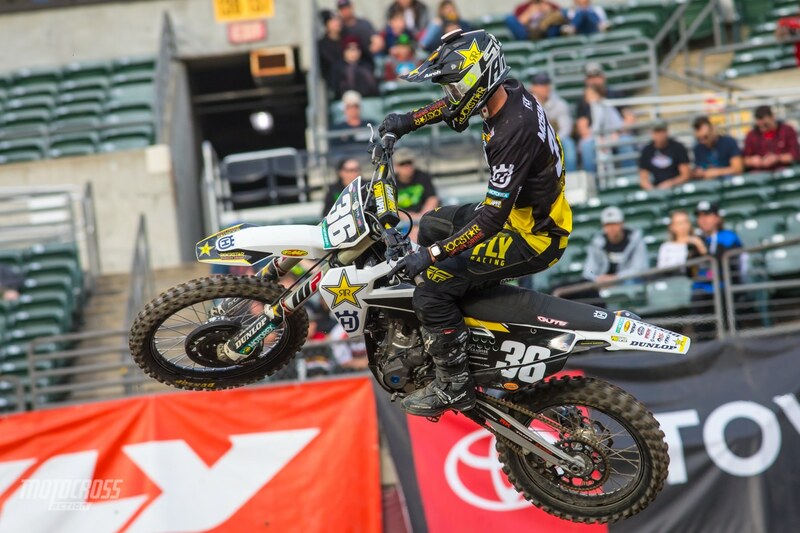 Chris Howell took fourth and the final spot in the main event here in Oakland. It was Rj Hampshire who took the holeshot in 250 heat race number two, but after going down in the sand corner Dylan Ferrandis took over the lead and won the heat. 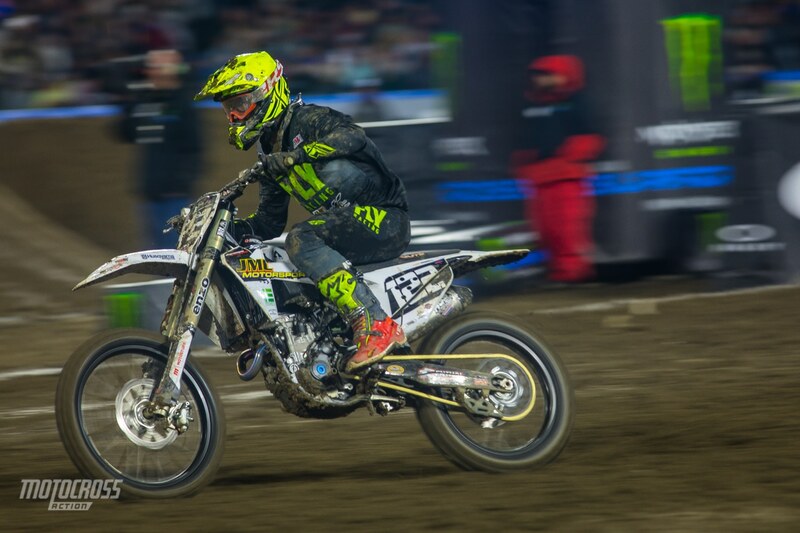 Dylan’s teammate Colt Nichols looked solid as well and he finished right behind in second. The track has good moisture in it right now and the ruts are starting to come out! Colt Nichols finished second, right behind his Yamaha teammate in 250 heat 2. Adam Cianciarulo came from behind to finish third in 250 heat race number 2.
Rj Hampshire lead the first few laps of the heat race before going down in the sand corner. In the first 250 heat it was Jimmy Decotis, Cameron McAdoo and Jacob Hayes in the top three. 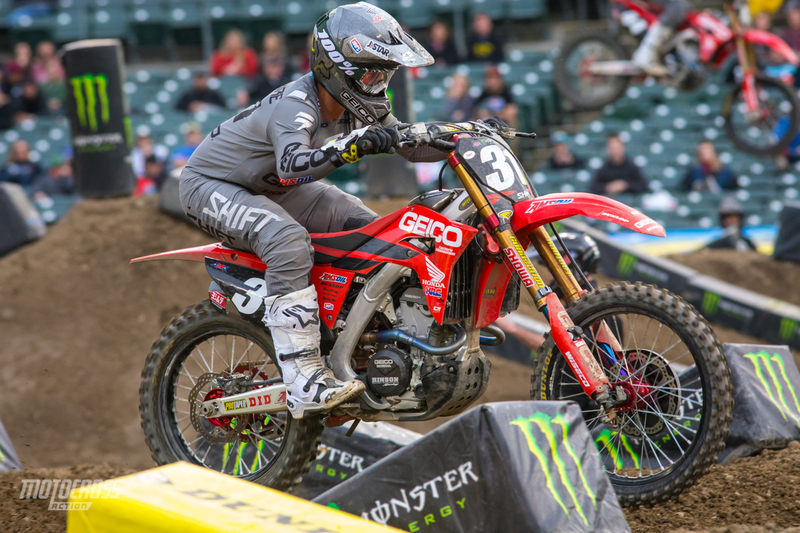 Shane McElrath had a crash in the first turn but he fought through the pack to finish sixth. Jimmy Decotis comes from behind to win 250 heat 1. Cameron McAdoo battled with Decotis for the lead but eventually finished second. Michael Mosiman finished fourth in 250 heat 1. 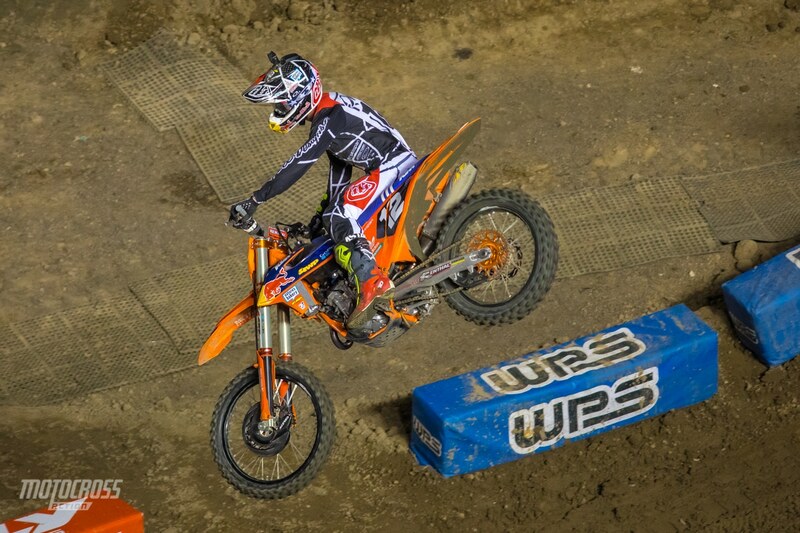 Shane McElrath crashed in the first turn but came back to finish sixth.